How often are Orthodox Jewish women’s questions—and Orthodox Jewish women’s answers—taken seriously? Meshivat Nefesh, a new online initiative from Beit Hillel, an association of Orthodox rabbis in Israel committed to the inclusion of women in leadership positions, seeks to address that question. 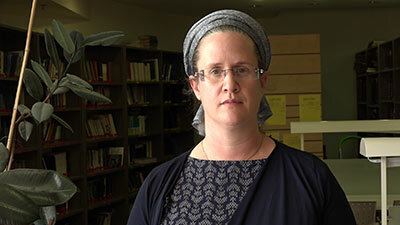 In a phone interview from her home in Israel, Rabbanit Yael Shimoni, 38, one of the 26 women who will be answering questions submitted by men and women to the Meshivat Nefesh website, explained that what is groundbreaking for this project in the Orthodox world is its recognition of women as voices of authority. “A person asking is accepting me as someone who can answer,” she said. Questions can be submitted to meshivatnefesh@beithillel.org. The term “rabbanit,” which once referred only to a rabbi’s wife, is being increasingly adopted by Orthodox women who have a achieved a high level of Jewish learning, both informally and formally through ordination. Other efforts by prominent Jewish groups have sought to address women’s concerns, but more narrowly. 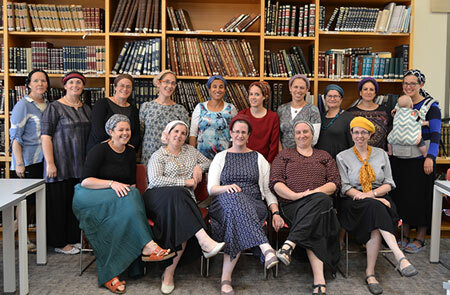 Jerusalem-based Nishmat, a modern Orthodox center of Torah learning for women, has trained over 70 yoatzot halacha—halachic advisers—who today serve around the world, fielding questions in their communities as well as answering questions posted to the group’s website. But Nishmat’s advisers comment solely on matters pertaining to women’s health and sexuality, not on the broad array of Jewish legal questions Beit Hillel’s new project will address. Representatives of Meshivat Nefesh—dubbed “Ask the Rabbanit” in English—hail from Nishmat as well as other Israeli schools of higher learning for women: Migdal Oz, Matan, Midreshet Lindenbaum and Beit Morasha. Joining Shimoni will be Rachel Sprecher Frankel, Jennie Rosenfeld, Tamar Meir, Michal Tikhochinsky, Devorah Evron and Noa Lau, among other women leaders. How thrilling. It is long overdue.